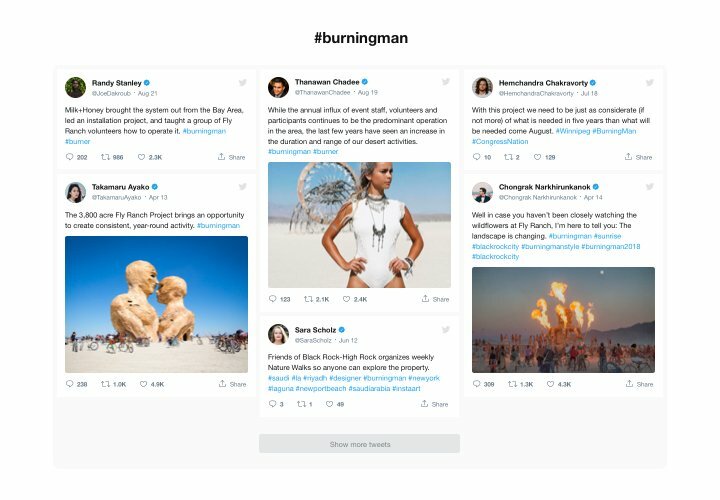 The best way to embed Tweets on your site. Hold clients on the website longer. 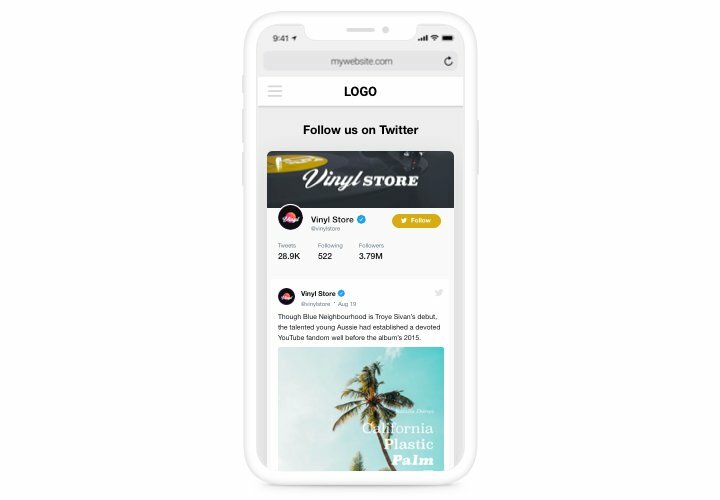 Make your users stay on your site longer, engaging them with separate Tweets on related topics or engage them into your Twitter-promoted promo activities. Have more followers. 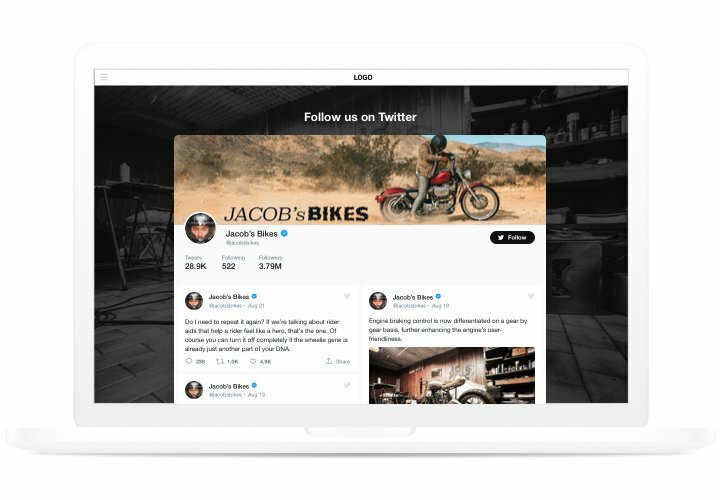 Interactive Elfsight Twitter feed enables clients to follow your account without leaving your site. Have another source of followers and grow your Twitter community. 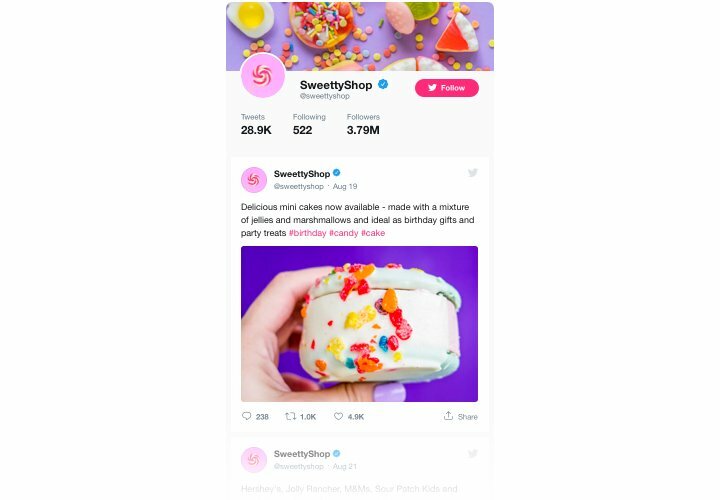 Improve trust to your business using testimonials Tweets. 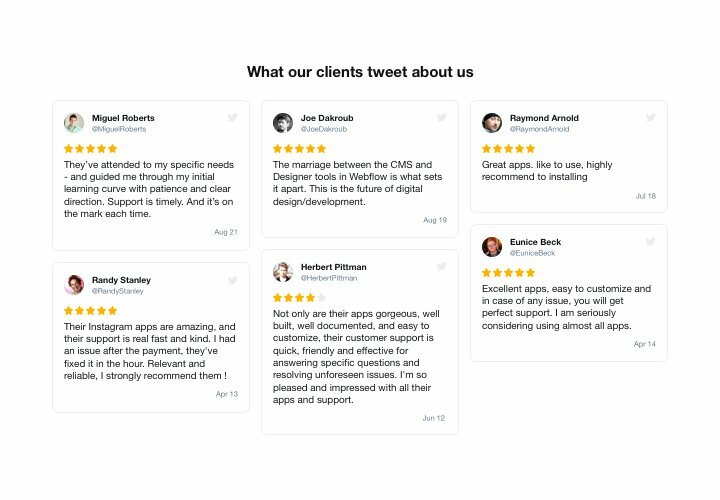 Pick the best customer testimonials about your business from Twitter and unveil them on your site to boost client trust and make your items look irresistible for your audience. 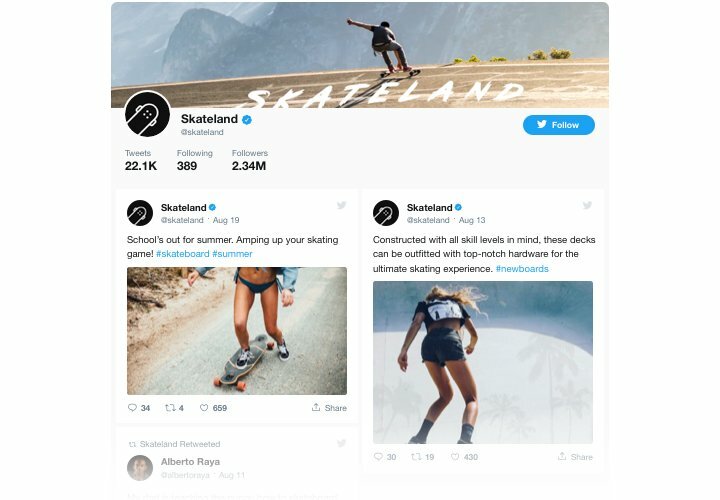 Following and Followers counts in the header. See our express tutorial on integration and designing of the widget. The installation process will require only about 90 seconds and there’s no need to have skills in programming. Construct your personal Twitter widget. With the help of our free configurator, create a widget with required design and capacities. Acquire a code for showing the widget. After widget configuring, obtain a code for Twitter Feed from the appeared window on Elfsight Apps. Show the widget on your Webnode website. Place the widget to the needed spot of the page and apply the edits. You successfully performed the installation. Enter your Webnode site, to check your widget. Experiencing issues when applying the instruction? Send a message at Elfsight support team. Generate your personal Webnode Twitter widget right here!